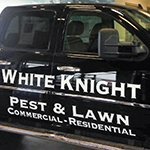 Complete Signs & Graphics provides complete vinyl printing services for signs, banners, graphics, wraps, and more! 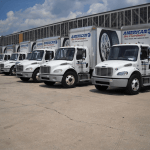 Whether you are looking for cohesive fleet vehicle wraps, a tradeshow banner, vinyl film for your business windows, or would like to apply a large branding message to any smooth surface, we have the right product and solution for you. Our dedicated vinyl specialists can’t wait to assist you with your unique vinyl branding needs. From banners to vinyl lettering, our team of dedicated vinyl printing specialists can recommend the right vinyl material for your needs, and can assist with design, fabrication, and professional installation to ensure your final products look professional and are reflective of your brand. 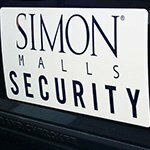 Call Complete Signs & Graphics today at (647) 484-3889 for a Free Consultation with a Vinyl Printing Specialist! 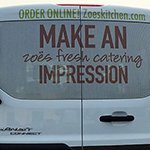 Printed vinyl wraps will not only publicize your business, but they increase customer confidence and perception as well. 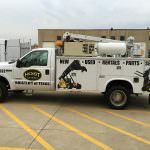 If you have a business where you visit clients at home, like cable installation teams, electricians, or exterminators, people can sometimes be hesitant to let you into their homes. 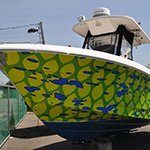 With vinyl wraps, clients feel confident that you are who you say you are, and feel more comfortable welcoming you into their homes. 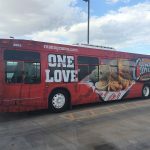 Ad wraps for vehicles are increasingly popular across all industries, but some of the most popular include handymen, plumbers, cable companies, repair techs, delivery vehicles, electricians, landscapers, dry cleaners, tutors, and other industries. 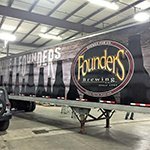 In our opinion, everyone can benefit from vehicle wraps or vehicle vinyl graphics.Whether you are looking for a full vehicle wrap, wraps for your entire fleet, or just a few vinyl graphics, Complete Signs & Graphics provides the right vinyl signs and graphics for your business needs. 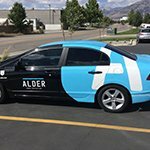 Vehicles aren’t the only way that vinyl can be used to promote your business, increase your visibility, and improve your customer experience. 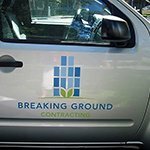 Complete Signs & Graphics provides printed vinyl solutions for every aspect of your business, from the windows to the walls, floors, tables, and just about any other smooth surface, including concrete, tile, wood, carpet, plastic, acrylic, metal, and more! More and more companies are utilizing vinyl material to create attractive murals for their businesses. Used in lobbies, breakrooms, hallways, windows, and conference rooms, these large-format, impactful vinyl signs can relax, excite, or inform your customers, visitors, and staff. Extremely durable, vinyl wall murals are resistant to traffic, dirt, and cleaning, making them a great option for even the highest-traffic areas. As a full-service vinyl signs and graphics shop, we handle every aspect of your vinyl project. Starting with your free consultation, we listen to your needs, goals, and ideas. This allows us to recommend the right vinyl products for your budget and intended use. We know there are a lot of options and we can help to pare down those options and present only the best choices for your specific needs. 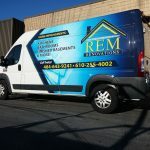 Complete Signs & Graphics is your local partner for attractive, professional custom vinyl wraps for your business needs. We look forward to proving our value to you, and becoming your long-term signage provider for all of your sign and graphic needs. 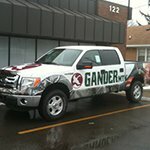 Call Complete Signs & Graphics today at (647) 484-3889 for a Free Consultation with a Vinyl Wrap Expert!